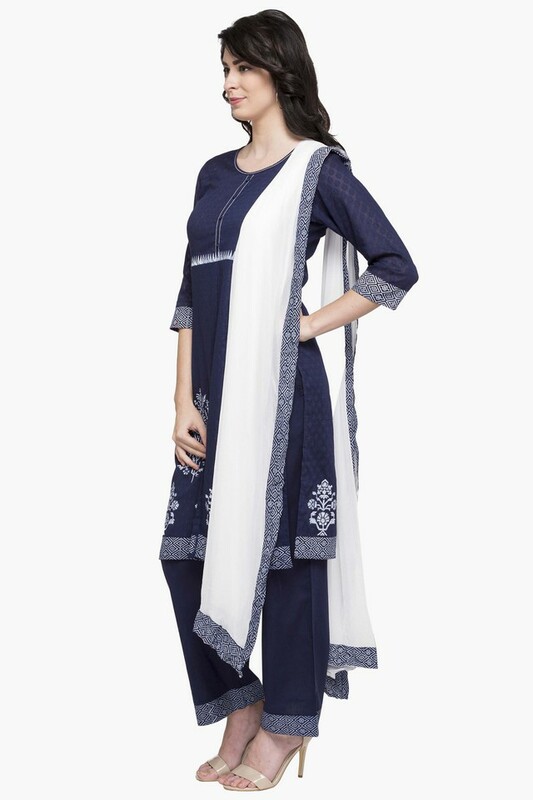 Being a style savvy woman, you will surely like this kurta, pant and dupatta suit from Stop. 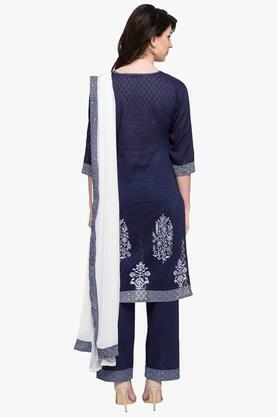 The classy print of this kurta is the main attraction. It also has a mandarin neck and three quarter sleeves that further add to its design. 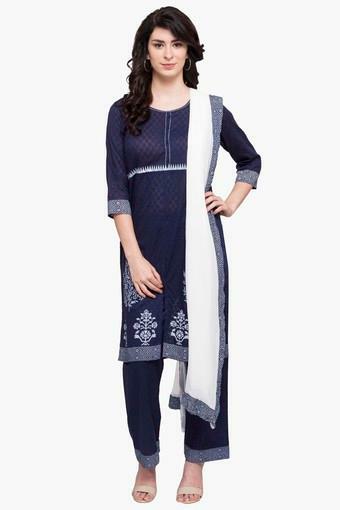 The dupatta comes in a contrasting shade that enhance the overall look of the outfit. For any casual occasion, if you want to keep it simple, then you should try out this kurta, pant and dupatta suit. Combine it with a pair of heeled sandals and carry a sling bag to complete your look.